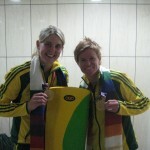 Hockeyroos win Gold at Comm Games. What an amazing experience. 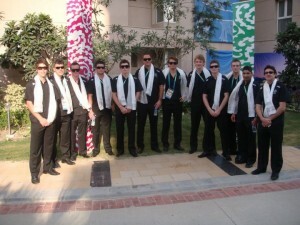 We all had an absolute ball in Delhi and are so proud to have returned home with a well earned Gold medal. Thanks Obo for your continued support!! 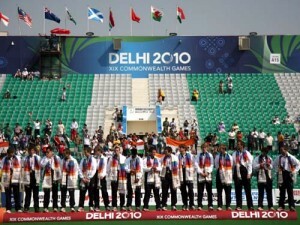 Overall Hockey was the major winner at the Commonwealth Games. 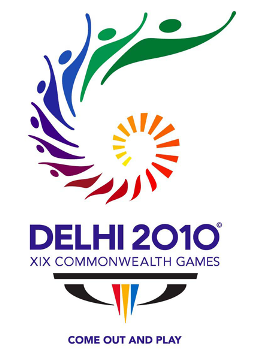 In articles on Stuff, The Herald and Hindustan Times Hockey was named the “Most compelling Sport” of the Commonwealth Games. 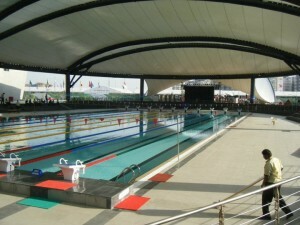 The venue was named the “Best Venue” of all the sports, with the “Nicest Stadium” and overall had the “Best atmosphere”. 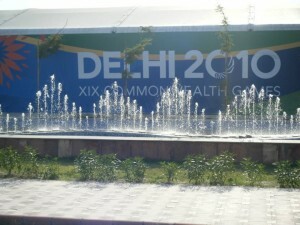 The best game/event/spectacle of the Commonwealth Games was the India – Pakistan pool play clash. 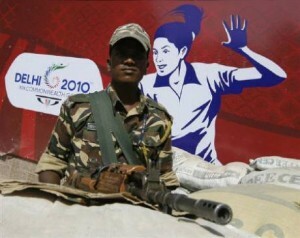 The game was at full capacity with 16,000 screaming fans packed into the Dhyan Chand National Hockey Stadium. Hockey consistently saw large crowds even for non-Indian games which was a complete reversal of the World Cup earlier in the year. Even the non-hockey public in India and around the World were caught up in the emotion and class of the game. India eventually ran out 7-4 winners. Then to top things off both the Men’s and Women’s teams medalled at the XIX Commonwealth Games. 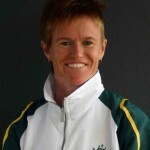 This was the first major medals for the women (1998 Bronze Kuala Lumpur) and the men (2002 Silver in Manchester). 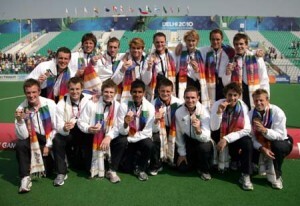 This was a great achievement for Hockey in NZ and to have both teams do so well bodes extremely well for the future of the sport especially leading into the 2012 London Olympics. The Blackstick’s Men righted some previous wrongs against England by taking an unassailable 5-3 lead in a penalty shoot out to win Bronze. It was all smiles for the NZ boys where the English were left to rue consecutive 4th place finishes at the last 2 Commonwealth Games. The scores were tied 3-3 after regulation time and through Golden Goal Extra-time, before leading to a penalty shoot-out. Goalkeeper Kyle Pontifex was the hero of the moment as he saved a penalty from English player Scott Dixon. In an open game in which there was plenty of goalmouth action at both ends, Pontifex had his best performance of the tournament, making a string of saves, both from penalty corners and open play. It was huge for the boys to finish 3rd and avoid the dreaded 4th place. In the end the team was rapt with its medal and pleased they had justified their third place seeding in the tournament. Lastly thank you to everyone for all your emails and comments to the Men’s team throughout our Commonwealth Games campaign. We know we gave you some heart in the mouth moments none more so than our late equaliser against Canada. But it was great to have so much support for such a big event and so far away from home. So from the Blacksticks men’s team we all THANK YOU! In the end the boys were over the moon to come away with a Bronze Medal especially with beating England one of our biggest rivals and a team that we had not beaten since 2007. Now it is time to relax with family and friends and enjoy and share our medal with everyone who helped us to achieve it! Been pretty busy lately and will be this year, so unfortunately can’t post as much as I’d like. Nothing spectacular, but a basic concept about how to learn by watching other goalkeepers (generally of the higher levels!). Ever wondered what the best way to learn about how to play in goal is, without being coached or learning by game experience? Well, the simplest answer, is to watch someone else! You can learn a great deal simply by watching another game after your match has ended or watching game highlights over the Internet. Don’t just be an observer! Firstly, you need to ‘participate’ in the game. If you just watch what happens and don’t absorb the reason for the goals and a team conceding and losing, then you won’t learn how to prevent that happening in your own games. You don’t want to be a passive passenger to the game, but actively think about and mentally remember what the causes for the goals were. It may sound sad, but taking notes of the game and the goalkeepers (especially easier if you’re watching highlights over the Internet because you can make notes on your computer/laptop!) will help you to keep track of the things you have learnt. The best way to watch a game is to watch it as if you were scouting for the best goalkeeper there (out of the two playing). The mindset to have is to think like a scout. Imagine you’re the goalkeeping coach for the international team and you’re looking to add depth to the squad or want to decide on who your first choice will be for an upcoming tournament. I have actually been at a game two years ago where there was a scout doing exactly that and noticed what they were looking at (even if I failed to politely ask a few questions!!). Note: I wasn’t the one being scouted!! I was just watching! Don’t just scout just watch the goalkeeper you follow or are rooting for, but also the opposition goalkeeper at the other end. You may miss out on exciting battles in the midfield, but your focus is after on the keeper and how they work with their defenders. When watching any game, try to keep track of both goalkeepers and evaluate who was the best. Goalkeeping duels are always fun to watch! Watching is not the only thing you can be doing. You can also listen in on the action and work out what the goalkeeper is saying to his team mates; what changes they are calling for etc. Knowing how a goalkeeper interacts with their defence will help you improve on your own skills in organising your team. You can also analyse more deeply the things they are doing. In terms of technical skills try to apply what you’ve been taught (or what you know from experience if you don’t have a coach) and see how the goalkeepers are acting in relation to that. Sound technical goalkeepers should make few mistakes. The best action is obviously going to be watching it in person, so if you are lucky enough to live close to top division national league hockey, then go and watch a game at the weekend (in England most national league games are played or have been played on a Sunday, with everyone else mainly playing Saturdays, so there’s no excuse!)! When I wasn’t playing, I would go down and watch East Grinstead or my home club Oxted. If possible, try and make it to international games (some nations will also play friendlies, such as England’s series of friendlies last year) to really get a feel for the highest level of the game. YouTube is another great place to look for hockey highlights to watch and learn from. Hockey nations like Holland, where matches are televised, will consistently upload videos. Do a search for a team you know, like HGC of the hoofdklasse and you should be able to find some matches.
! 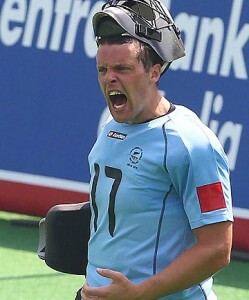 !BLACKSTICKS WOMEN FIGHT IT OUT FOR GOLD!! The Blackstick’s women were O for Awesome in their 1-0 semi-final win over South Africa yesterday. They were extremely impressive with the way they took the game to South Africa and outplayed them in almost every area. Beth Jurgeleit was outstanding in goal and 2 fantastic saves on the line from Emily Naylor kept the South Africans scoreless. All the girls stuck to task and played well through out the game. It wasn’t until a 2nd half penalty corner that the NZ girls finally took the lead, with a corner break down that fell kindly to Clarisa Eshuis who coolly slotted the ball inside the near post! 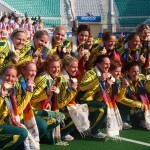 The girls are assured of a medal their first major tournament medal since a Bronze medal in Kuala Lumpur 1998 and NZ Hockey’s first major tournament medal in 8 years when the Men won Silver in Manchester 2002. This is a fantastic achievement for the girls and NZ Hockey. They have been the stand-out team of the tournament and the most consistent team here across all 10 teams. The entire Blackstick’s Men’s team and the NZ Commonwealth Games team believe that the girls will take out Gold and topple the Australians in tomorrows final played at (13:00pm India Local Time, 20:30pm in NZ) I hope you are all watching!
! !BRONZE MEDAL HERE WE COME!! For those of you who watched at home I am sure you would agree that a 2-6 defeat at the hands of defending champions and World No. 1 ranked Australia was not a fair reflection of the game. For the entire 70 minutes we showed plenty of spirit in 40+ degree heat! We had an extremely good game-plan that threw the Aussies off balance and we took the game to them breaking through their much talked about press. We let ourselves down in the small areas on the field. A few soft goals really let us down as at no stage can you be off your game against Australia and they proved this in a six-minute period just before half-time when they broke the 0-0 deadlock with 3 quick goals. Even though we were down 0-4 midway through the 2nd half there was still belief in our side which hasn’t always been there in the past against Australia. Dean Cousins and Phil Burrows (2002 Commonwealth Games Silver Medallists) were instrumental in this area and they are both players when they say “come” everyone else naturally follows. This is a trait that is rarely found in people and I think our team are lucky to have the 2 of them. Due to this belief we rallied in the 2nd half and staged a late fight-back with goals to Blair Hilton and Phil Burrows and we had another effort controversially disallowed to put the score to 3-4. Everyone except for the ref thought that this was a goal. The belief was certainly there and we pressed hard in the last 5 minutes to try and score the goals we needed. In doing this we promoted more men forward and were caught out twice late in the game to go down 2-6, an unjust score to our efforts in the match. If we play like we did against Australia with our desire and commitment in the Bronze medal play-off I am sure we will take the match out regardless of who we play! But for now it is time to relax by the pool, and enjoy our day off and hopefully see the girls pull off GOLD! We also have a quiz night tonight which is always a bit of a laugh! Thanks to all those who send their wishes to the team, everyone really appreciates them! The Blackstick’s women made easy work on their route to the semi-finals than the men did. The women played extremely well all through pool-play to go through undefeated and top qualifier of their pool. They even outclassed the highly fancied English to comfortably win 4-1. They have now set up a semi-final clash with South Africa today at 5:30pm (India local time). The Blackstick’s Men’s side wishes the girls all the best and we will be there today to support you in what will be a fantastic match! Our last 2 games have been interesting ones. We played poorly in most aspects against England as we have done in the last 3 encounters we have played them. They have the wood over us at the moment. It isn’t for our lack of effort but more of our application to our game plan that is letting us down. On too many occasions we have let England get off to a good start and this has always made us play catch-up hockey. When you do this to the top 6 nations in the World you will always struggle. 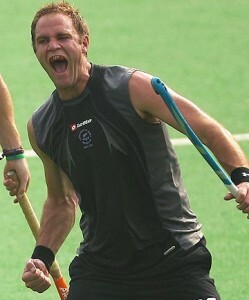 It was dramatic scenes yesterday at the Dhyan Chand National Stadium as Hayden Shaw converted our fifth penalty corner with three minutes on the clock to earn a 1-1 draw and a semi-final berth against Australia tomorrow. With 5 minutes on the clock we were forced to pull our goal keeper Kyle Pontifex as the match slipped away. We needed to draw or beat Canada to go through to the semi-final round. We had missed our four earlier penalty corners, but Hayden Shaw cleverly faked his drag flick, swerved the oncoming Canadian runner and flicked home the crucial goal before kicking his stick into the air in delight. Canada’s tactics frustrated us from start to finish, but they played to their game plan and executed it extremely well. On most occasions they cleared the ball long and dead, or for 1 v 1 opportunities. The game also played into their hands as they are supreme tight defenders when protecting a lead. They scored early and were able to sit back in defence to protect their lead. This was something that Canada did very well up until 3 minutes to go when we scored and could breathe a little easier! Although it wasn’t the ideal result or game it was still uplifting to make it to the Commonwealth games medal-rounds! Sorry to all those at home who watched for the heart-attack we almost gave you! We know that we let an opportunity slip against England but to still make a semi-final at the Commonwealth Games is a great achievement. But the job is only half done and all the boys are really excited about the prospects of tomorrow’s game (11am India local time) against Australia. We have done the hard-work of making the semi-finals but now it is pulling it all together and stepping up individually and more importantly collectively in our performance to match it with and even better Australia. In sport when you make it to one-off games anything can happen. France vs. NZ 2007 Rugby World Cup (Quarterfinal), NZ vs. Australia 2008 Rugby League World Cup (Final) and NZ vs. Australia 1976 Olympics Gold Medal match. All of these occasions have been when the underdog (by quite some way) has come to the fore and put out a performance of a lifetime to beat their more highly fancied opponents. This happens all the time in sport and if we pull things together there is no reason why it can’t happen tomorrow. If we get the ball in the circle we have World-class strikers in Simon Child, Nick Wilson and Phil Burrows and probably closest to the best corner battery in World Hockey with Hayden Shaw and Andrew Hayward capable of beating any keeper on their day. In short we have nothing to lose and everything to gain. So bring it on! After a very tough performance we are through to the gold medal match. We have a rest day tomoza, then the gold medal match Wednesday. Everything has been going to plan so far with 2 wins from 2 games. Our first game was against Trinidad & Tobago which we won 7-1. This game also marked Phil Burrows 250th test becoming the 2nd only New Zealander to reach this milestone after Ryan Archibald. It only took Phil 10 years, four attempts and 250 matches to break a personal hoodoo of never winning a milestone match up until now. Phil had lost his 50th, 100th, 150th and 200th tests putting a small blight on an extremely decorated career. Trinidad & Tobago was a side that we didn’t know much about, but it was really important that we got off to a good start with trying to score as many goals as possible. We scored 3 from 6 corners and 4 well constructed team goals. Andy Hayward and Blair Hilton both scored twice with Hayden Shaw, Hugo Inglis and Nick Haig scoring the other 3 goals. This score proved to be a pretty good one as England only managed to beat Trinidad 4-0 giving us a 2 goal advantage over them. We targeted this game against South Africa as being a Quarter-Final for us as we knew it would be a tough encounter. We are ranked seventh in the world and South Africa 12th so we knew the match would be close. We performed extremely well in the 1st half especially off turnover ball pretty much scoring or creating all of our chances from direct turnovers. Hayden Shaw got us off to an ideal start scoring from a trade-mark drag-flick. Then a Phil Burrows special a minute later put us up 2-0. 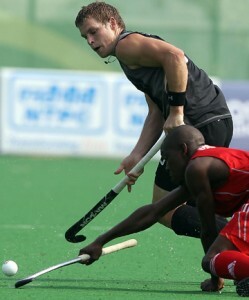 South Africa got back to 2-1 but this goal was quickly cancelled out by our new player Steve Jenness. Nick Wilson then rounded off the scoring with a well taken reverse shot at goal to take us into half time at 4-1. South Africa scored late in the 2nd half but the game was well and truly ours after our efforts in the 1st half. Our remaining group B matches are against England and Canada. Huge thanks go out to the Women’s Blacksticks and their coaching & support staff that came and supported us last night against South Africa. The women have also been playing very well with 2 solid wins over Wales (5-1) and Malaysia (5-0). They have remaining games against Canada and England where one more win will put them into the medal round. We have the next 2 days off with only a light training and pool recovery sessions planned. 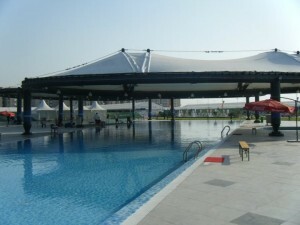 The pool complex is awesome it’s even a lot bigger and better than what was at Melbourne and Beijing. 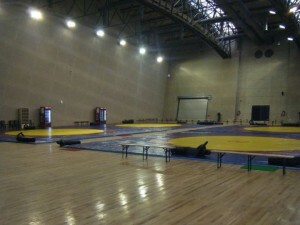 A lot of the training venues are also based inside the village including a gym, running track, wrestling & gymnastic complex and much more. The overall security and village has been great. Everyone is having a great time and most of all having a great time while at the same time feeling safe. I, along with all the Aussie girls are having a wonderful time in India. We have been hear for nearly 2 weeks now and have had an absolute ball. The village is heaps of fun, the people are so lovely, and meeting famous, unique and different types of athletes has been great. Today we played our 3rd game of the tournament and came away with our first draw. 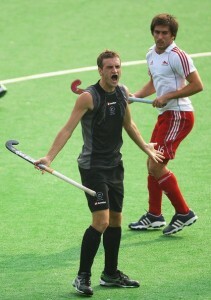 We beat Trinidad and Tobago 11-0 first game, India 2-1 second game, then drew 1-1 to South Africa today. Tomorrow we play Scotland in our final pool match. Keep an eye out as there should be many great games to come. The Kiwis are doing really well in the other pool so we may have a match up against them in the finals. Cant wait!! I did this video quickly the other night, it’s how I replace my Obo front kicker kicker straps. I find it the quickest easiest way. Let me know what you think! Or if you have a different/better way of doing it? Hopefully the above should work. Otherwise go on to You Tube and type in ‘Replace Obo kicker strap’ that should work.